PA Prime Minister Salam Fayyad was hospitalized for an inflamed pancreas on Tuesday, after being admitted previous night with stomach pains. 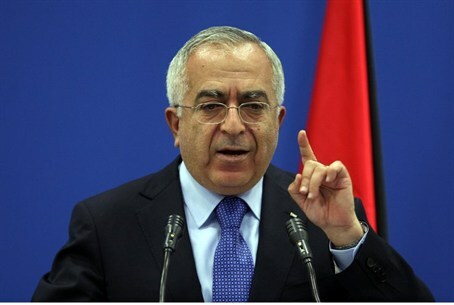 Palestinian Authority Prime Minister Salam Fayyad was hospitalized for an inflamed pancreas on Tuesday, a medic in Ramallah said, having been admitted the night before with stomach pains. "Medical tests and scans show that Fayyad is suffering from pancreatic inflammation," a doctor at the city’s Palestine Medical Complex told the AFP news agency. But his condition was "not serious," the doctor said, adding he would likely leave the hospital after undergoing treatment and resting. The 61-year-old, a smoker who suffered a heart attack during a private visit to the United States in May 2011, could be kept at the hospital overnight for observation, the source added. Fayyad is currently also serving as the PA's acting finance minister following the resignation of Nabil Qassis on March 3. Qassis quit over the PA's growing budget deficit and resistance he faced over austerity measures he had proposed. PA Chairman Mahmoud Abbas considered the option of dismissing Fayyad after the prime minister accepted Qassis's resignation while Abbas was on a trip to Saudi Arabia. Abbas has since been mulling instead the possibility of asking economist Mohammed Mustafa, former head of the Palestinian Investment Fund, to form a new government, according to an Arab source. Mustafa worked at the World Bank in Washington for 15 years, similar to Fayyad, who had spent years working at the International Monetary Fund.